Here at Shepherds Purse we close out our financial year in August and begin our new year in September, it's also a natural end to the summer as the kids go back to school and nights begin to draw in. With this comes reflection and reporting on how we've done over the past 12 months and its a time to look forward to see what's on the horizon. We kick off quickly with the Speciality & Fine Food Fair in London on September 2 - 4. It's hosted at Olympia, a place that we used to go to in December for the Horse of the Year Show but now we turn up with a boat load of cheese ready to sample. This year, Kate, Sylvia and Amy will be flying the flag for Shepherds Purse as we meet our existing trade customers and introduce ourselves to new ones too! This event is then followed in September by a relatively new addition to the calender and far more local, the Yorkshire Dales Cheese Festival on 15 - 16 September, up at the Wensleydale Creamery in Hawes. This is an event for consumers to try and buy lots of cheese, learn about cheese and sample lots of lovely local produce - it's a free event but you do need to book tickets which you can do here. In October Sylvia and Kate will be fastidiously visiting our retailers in the North of England to make sure that they have everything they need in the run up to Christmas, as part of this Sylvia will be support Bents Foodhall's Christmas launch day on the 10th of October. In early November, I will be heading out to Norway to judge in the World Cheese Awards. Judy and I were in San Sebastian in Northern Spain for the World Cheese Awards in 2016 when Kraftkar, a beautiful blue cheese from Norway, won the Champion of Champions. It was an incredible moment and a moment that set a series of events in motion that would lead the World Cheese Awards to Norway in 2018. 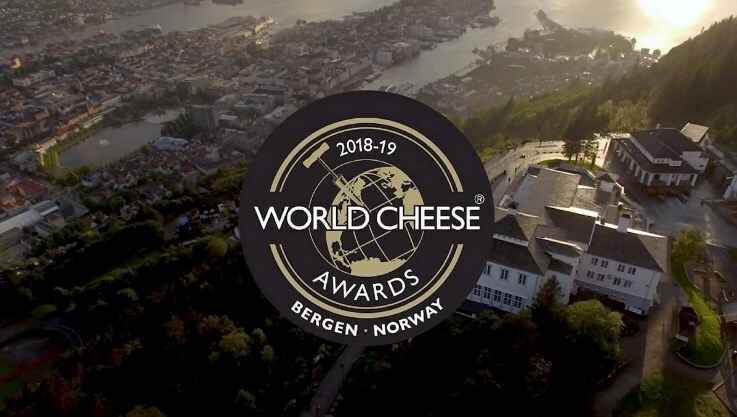 I'm looking forward to visiting Bergen to meet with all the fellow judges and to have the opportunity to judge some excellent cheese from all over the world. We will also have cheeses entered so fingers crossed for their performance following the journey north. Finally, for this round up, we will be attending the BBC Good Food Show Winter in Birmingham NEC 29 November - 02 December. This festive food show has become a regular in our calender as again, Syl, Kate and Amy pack their bags and move "down south" for a long weekend of serving customers stocking up for their own Christmas entertaining and for gifts! The girls usually come back with lots of goodies themselves! We're all excited for the next few months ... bring it on!